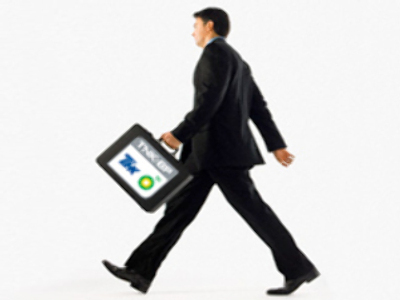 BP is withdrawing its remaining 60 technical experts assigned to TNK-BP in Russia. The move comes after complications with work visas since March – which has now seen all 148 experts removed from the country. The staff members are being sent to other ventures, in line with global shortages of skilled people, according to BP, and will leave Russia within the next two to three months. This is the latest development in the ongoing dispute between Russian and British shareholders in the company, who differ on TNK-BP's future business model. BP says the decision is a 'business decision' the company is taking reluctantly, adding that it has numerous other ventures where the skills are required. Meanwhile AAR – the consortium of Russian shareholders – says BP's decision will NOT have an adverse impact on TNK-BP's operations. AAR says this leaves TNK-BP no choice but to start actively recruiting foreign managers on the open market. We respect BP's decision to withdraw secondees from Russia. We propose to BP that the secondees become TNK-BP employees, rather than BP employees. This would allow them to focus on the interests of TNK-BP, and have loyalty and commitment to TNK-BP. If they are working in the headquarters on a long term basis they should become employees of TNK-BP. There are many outstanding technical experts, managers from the oil and gas industry that we can recruit and have them be employes of TNK-BP.